PETALING JAYA: There is no shortcut to success, only hard work and commitment, to ensure good quality products that could enhance the company’s reputation, said Matrix Concepts Holdings Bhd managing director Ho Kong Soon. Established since 1996, the 22-year old Matrix Concepts Holdings Bhd has been ranked among the top 15 developers in the country, coming in at No 13 of The Edge Malaysia Top Property Developers’ Awards (TPDA) 2018. The TPDA is the anchor awards of The Edge Malaysia Property Excellence Awards 2018. Results were announced on Oct 28. The developer has been gradually creeping up the ranking. It was in 13th place last year, making great strides from 23rd position in 2016. Ho said it is important for a developer to keep being relevant to the industry in order to sustain its business in the long run. He stressed that there is really no secret to success. Besides diligence and commitment to quality, one also needs a good team that shares the same vision as the company. “There is no substitute for hard work and diligence, one must put in the required number of hours to develop a certain level of expertise. “Upholding quality is important, because it ensures that customers will have a good impression of you and always come back to you. “Negative perception can be very costly for an individual, and even more so for a corporation!” he noted. Ho added that a good and meticulous management team which is customer-oriented is vital to achieve the company’s growth plans. The Seremban-based developer does not believe in staying within its comfort zone. In the first quarter of this year, the company entered the Klang Valley with its maiden project — Chambers Kuala Lumpur, located in the heart of Kuala Lumpur. The project has received a good response from the market, with over 60% of the units taken up within three months. 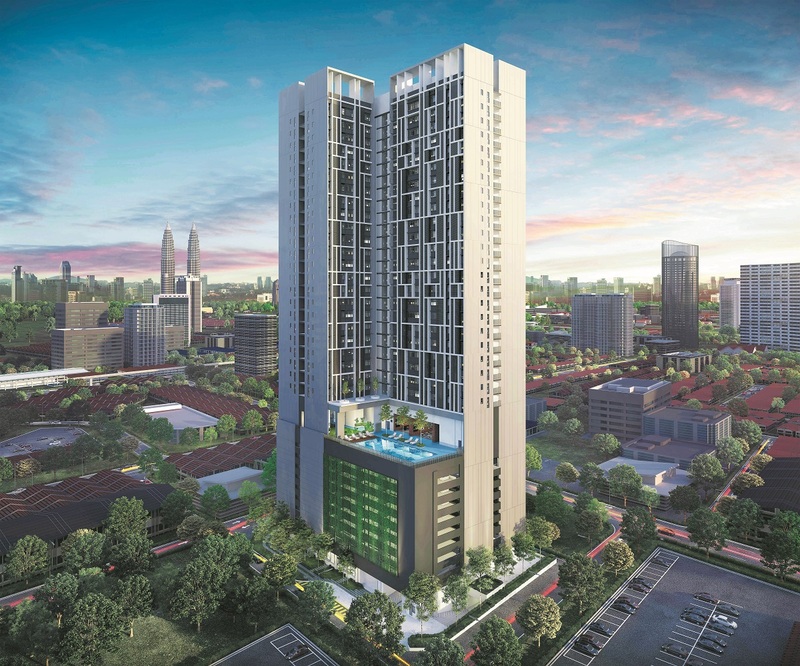 Located along Jalan Ipoh Kecil, close to the Putra World Trade Centre (PWTC), the 33-storey Chambers Kuala Lumpur serviced apartment project has a gross development value (GDV) of RM311 million. It offers 509 units with built-ups ranging between 800 sq ft and 1,000 sq ft, selling at an average price of RM900 psf. Moving forward, Matrix Concepts will continue to focus on its two flagship townships — Bandar Sri Sendayan in Seremban and Bandar Seri Impian in Kluang, Johor. Launched in 2006, the 5,233-acre Bandar Sri Sendayan has seen growing demand from first-time homebuyers and young families. Meanwhile, Bandar Seri Impian which is located about 9km away from Kluang new town, will serve as an alternative to Kluang homebuyers who want to purchase a modern home in a new township. “We are taking things a step at a time, but we are definitely not resting on our laurels. We are constantly exploring other business ventures, both locally and overseas,” he said.